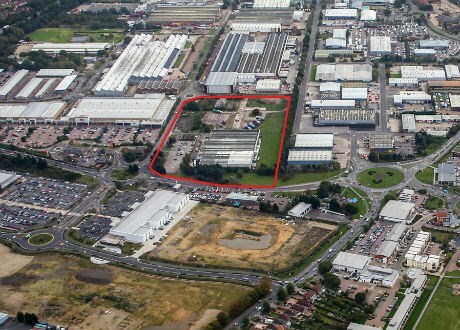 Reader Commercial are pleased to announce they have recently completed one of the most significant sales of strategic land at Ransomes Europark Ipswich for several years. The sale was agreed in October on behalf of clients Commercial Estates Group of the site and the former offices of Ransomes and the ex-Cinram factory building on the junction of Central Avenue, Ransomes Way. The Asset was sold to John Grose Group Limited and extended to approximately 12.5 acres with the factory being a total of circa. 83,000 sq ft. The purchase was concluded within 6 weeks of the agreement and this acquisition will compliment John Grose’s existing extensive land holding at the park. Martin went on to say “the commercial property market is extremely short of new stock and Reader Commercial welcomes any landlord, existing occupier seeking to expand or relocate into the area, contact our Ipswich office on 01473 289600 or visit our website readercommercial.com”.